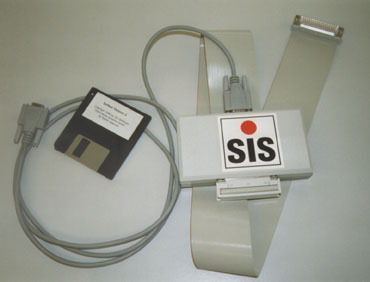 The SOFTSAL package is a comfortable add on for AUTOSAL users who want to acquire salinity data from the salinometer by personal computer. During salinometry the PC receives specific information on what you are doing. The system checks for data quality (standard deviations, freak value elimination, sufficient flushing of the cell), inconsistent input (double occurrence of bottle numbers within same box) or instability of electronics (monitors the transferred value of the cell equivalent network which is switched instead of the cell to the electronics during STANDBY). If you don't want the software to decide on your data, you may switch off the automatism and decide which 2 Rt should be used for calculation of salinity by pressing down the DATALOG push-button. Besides data acquisition there is a second part within the package, that is the data postprocessing. If you have generated control data sets during measuring by taking samples of well known salinity, e.g. samples from standard water ampoules or from prepared substandard, you can eliminate zero order drift of the salinometer. With the SOFTSAL data management packages comes the necessary hardware, that are cables, connectors and an opto-isolated interface box for connecting the BCD port of the AUTOSAL to a PC COM port.